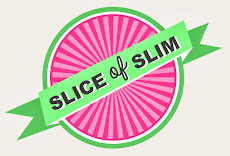 Slice of Slim is always about fresh, accessible ingredients-nothing showy-just simple, tasty, low fat food. However, sometimes, I might stumble across an ingredient that I just HAVE to try and these exotic mushrooms caught my eye the other day. this soup serves 4 as a starter at 0pp/approx.60kcal per portion or 2 large main servings at 1pp/approx.120kcal per portion. It's also F&H/SS friendly. The recipe I've invented is extremely easy and would make a really lovely dish if you were entertaining. I think £1 per head is pretty reasonable for something so impressive! Most supermarkets seem to have exotic mushrooms on sale but I particularly like this mixed selection from Waitrose. I'd never cooked with such exotic mushrooms before, so a certain amount of guesswork was involved as to how to prepare them, but I'm really happy with the result! Pop the water on to boil. Add the stock cubes, crushed garlic, soy sauce and lemon juice. Wash the mushrooms gently under running water. They don't tend to be muddy so just give them a quick rinse. The varieties of mushroom can vary from pack to pack according to availability, so the selection may be different to the ones shown here. Cut off any tough stalks. Slice any large mushrooms plus the regular white or chestnut mushrooms. Cut the woody base off the stems of the small bunches of mushrooms. Split the bunch into smaller portions but leave as bundles rather than separating into individual tiny mushrooms. Repeat with the final variety. Add all the prepared mushrooms to the pan of boiling flavoured water, along with roughly torn basil. Simmer for around 30 minutes. Season with pepper. Taste and add more soy sauce if needed. The mushrooms will have a 'bite' to them. The soup is clear with a beautiful deep but subtle citrus flavour. To serve, make sure that each portion has a good variety of mushrooms. I usually pick them out of the soup with tongs or salad servers before pouring the clear, tasty broth over the top. Finally, snip a few fresh chives into each bowl before serving.